Large-room video conferencing systems are seeing renewed growth, as corporate mandates, employee demand and productivity improvements drive enterprise deployments. While much of the attention in the video conferencing market is around bringing the technology into small rooms and huddle spaces, large rooms are poised for the most growth. More than one-third of organisations are planning to expand video conferencing deployments in their large rooms, which seat 10 or more participants, according to a Nemertes Research study on visual communications and collaboration. In comparison, a quarter of organisations are planning to increase their small-room video deployments. Today, about 20% of large rooms are equipped with video conferencing, according to the study, which surveyed 500 end-user organisations. Employee demand is the primary driver for increasing large-room video conferencing, just as it is for increasing video conferencing within small rooms and on desktops. Given the rapid increase of video conferencing in the consumer world, thanks to apps like Google Hangouts, Microsoft Skype and WhatsApp, workers expect to have video conferencing in the workplace. They also understand the benefits video brings to meetings by making it possible to share nonverbal communication and increasing engagement, especially for remote workers. Larger rooms are often the primary meeting spaces for teams and executives. As a result, companies often budget to ensure those rooms are state of the art, which increasingly means including video conferencing. We've all likely seen first-hand the lack of engagement when remote workers access a meeting solely through an audio bridge. Adding video conferencing to meetings allows remote participants to actively participate with those in the meeting room. 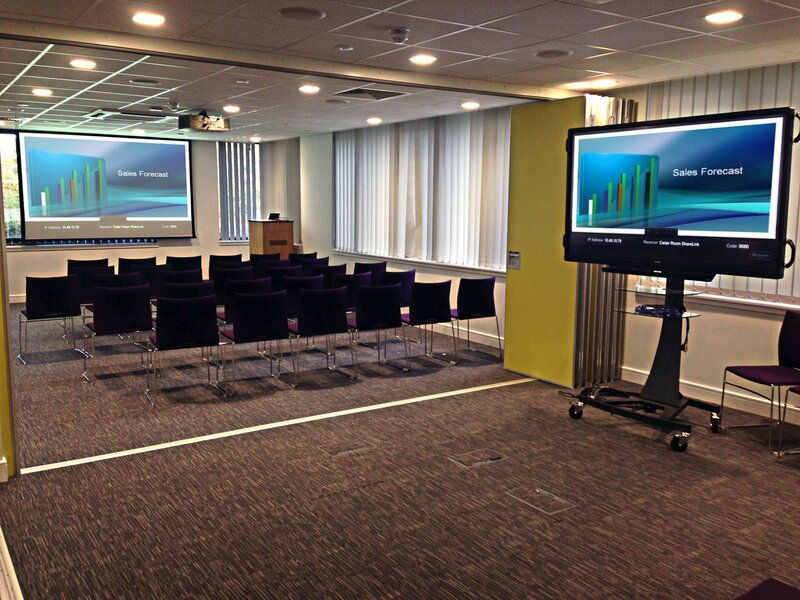 Another driver for the expansion of large video conferencing room design is the proliferation of desktop video, which two-thirds of organisations currently use or are planning to use. The large meeting room continues to be important, even in companies that are increasing huddle spaces and small meeting rooms. 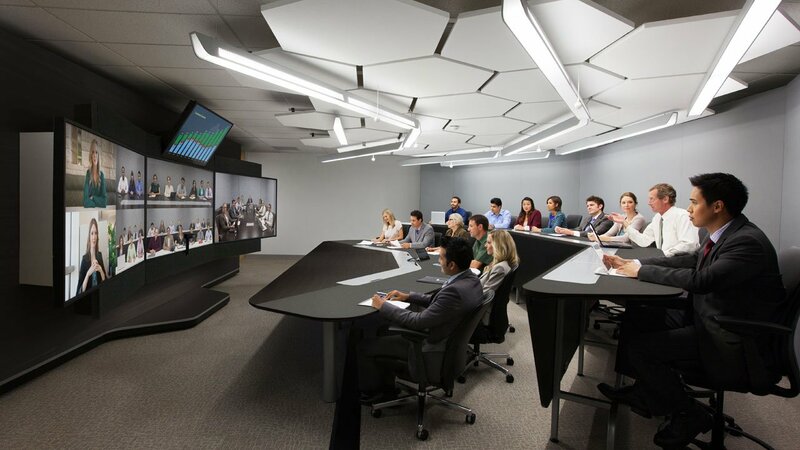 Don't forget about large rooms in your video conferencing room design strategy.